Few of us have any conception of the enormous timescales in our planet’s long history, and this narrow perspective underlies many of the environmental problems we are creating for ourselves. The passage of nine days, which is how long a drop of water typically stays in Earth’s atmosphere, is something we can easily grasp. But spans of hundreds of years—the time a molecule of carbon dioxide resides in the atmosphere—approach the limits of our comprehension. Our everyday lives are shaped by processes that vastly predate us, and our habits will in turn have consequences that will outlast us by generations. At this Science on Tap, Marcia Bjornerud, PhD, will talk about her new book Timefulness and will present a new way of thinking about our place in time that will enable us to make decisions on multigenerational timescales. 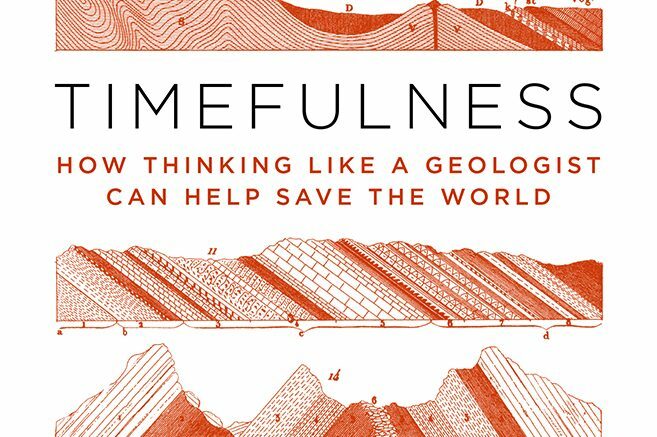 Knowing the rhythms of Earth’s deep past and conceiving of time as a geologist does can give us the perspective we need for a more sustainable future. Dr. Bjornerud is a professor of geology and environmental studies at Lawrence University, the author of Reading the Rocks: The Autobiography of the Earth, and a contributing writer for Elements, the New Yorker’s science and technology blog.